Theresa is a senior TriYoga® teacher who introduced the style to Central Pennsylvania in 2000. She has taught yoga since 1996 in the U.S., India and Venezuela and has studied closely with TriYoga founder Kali Ray for nearly 20 years. 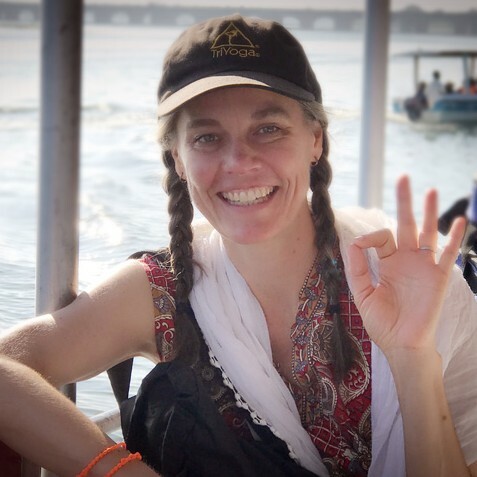 Theresa is Founding Director of TriYoga of Central Pennsylvania, a nonprofit organization and official chapter of TriYoga International. Formally trained with a Masters degree in Education, Theresa works directly with students and trains others to teach TriYoga. Her peaceful, focused presence invites others into an awareness that brings a fuller flow to life. "I love TriYoga and am so thankful to have found the practice that has informed my life so thoroughly, as well as to have found so many friends in Central Pennsylvania to share the Flow with. Thank you, Kaliji."